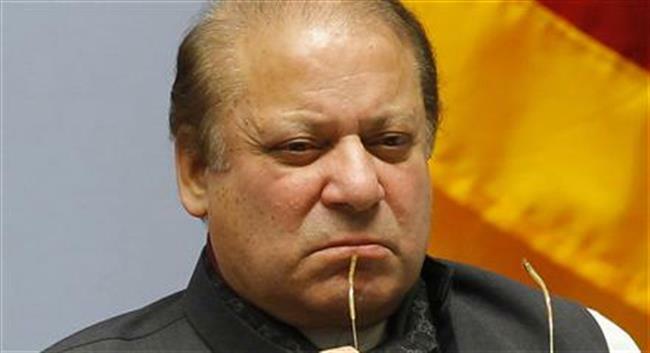 ISLAMABAD: Pakistan's Supreme Court on Wednesday disqualified former Prime Minister Nawaz Sharif as the president of the ruling Pakistan Muslim League-Nawaz (PML-N), saying that all the decisions made by him as the party chief stand "null and void". A three-member bench headed by Chief Justice Saqib Nisar announced the decision against the Elections Act 2017 passed by the Parliament, which paved the way for Sharif to resume his position as party chief following his disqualification from public office in 2017 over the so-called Panama Papers scandal, Geo News reported. The Chief Justice said that a person who is disqualified under the Constitution of the country is not eligible to sign any document that is needed to nominate someone to the National Assembly or Senate. With the judgment, the court declared tickets issued by Sharif for the Senate elections as "illegal". The Senate elections scheduled for March 3 will also be postponed, Dawn online reported. Sharif was earlier disqualified by the apex court for failing to declare his assets while being the Prime Minister of the country. Following his ouster, the ruling party managed to amend the Constitution to allow him to retain his chairmanship of the PML-N. As a result, the Elections Act 2017 was passed by Parliament bringing Sharif back as the party president. The top court had been hearing petitions against the Elections Act 2017 filed by the Pakistan Tehreek-e-Insaf , Awami Muslim League's leader Sheikh Rashid, the PPP and others, since January 2018.